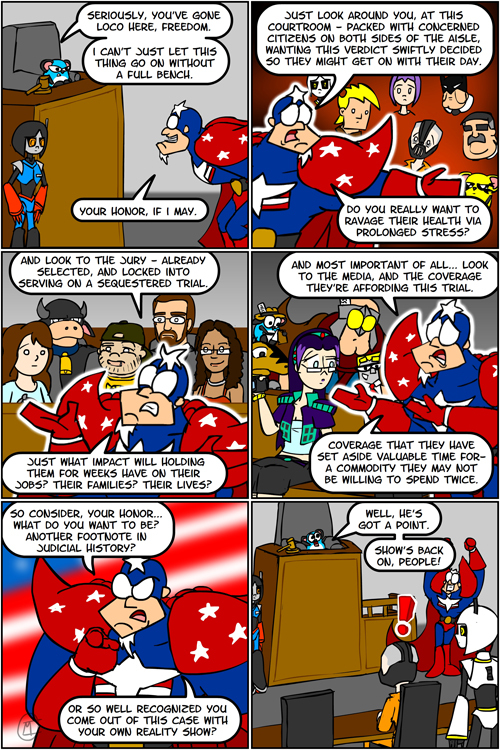 Captain Freedom is SO much fun to write, I swear. Also, the jury has a few IRL cameos in it. It’s not just generics, no! Hmm… Hope Nya shows up soon. Breeze needs all the help she can get. Good strip as always! Until next time! Funny you should mention her… it’s almost as if we’re due for a checkin shortly.